Augmented Reality | What is AR and what do I do with it? Augmented Reality. What are it’s advantages? What is AR and what do I do with it? Ok, first thing about the background – Augmented reality, also known as the extended reality, is basically an information level which you get mirrored in the live camera image of your smartphone. In addition to Augmented Reality, to make the confusion perfect, there are also mixed, merged and virtual reality. However, the terms are still changing. Some speak of alternative reality and the others sum up everything in mixed reality. The point is the mixing ratio between reality and virtual. Then let's ride the wave together! Furniture manufacturers let you try their products at home, online merchants and logisticians could see the contents of packages before unpacking and calculate the required package size before packing. In the car, navigation and night vision can be projected into the driver’s view and pedestrians can get information from the car on the road. Microsoft makes mixed reality with the Hololens, Google with Google Glass, Tango and more recently ARcore. 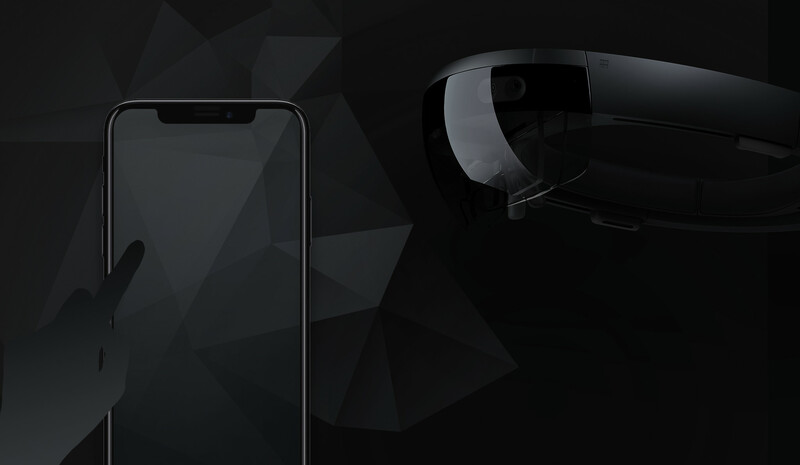 A series of Windows-based Merged Reality glasses are announced and Apple proclaims that hundreds of millions of iOS devices will be ARKit enabled starting from 2018. We have to try everything out and fill paper piles with business cases. We’re from end-to-end digital CGI, so it’s easy for us to spoof content for AR and also for related apps, of course. Already a specific project in mind? Here’s a lot you can check out!